Created by Alex Robson and Howard Raymond, King of Soho gin is a tribute to Howard’s father, Paul Raymond: the original King of Soho. This gin intends to capture the essence of the man famed for revolutionising Soho, founding iconic nightclubs including Raymond Revuebar and Madam JoJo’s. Crafted in small batches in the heart of London, King of Soho gin is distilled using traditional methods by an 11th generation master distiller. Quite fittingly, King of Soho’s master distiller comes from a family whose love affair with gin is said to date back to the 1680s – around the same time the name ‘Soho’ was first coined by the first Duke of Monmouth. The spirit is quadruple distilled and crafted with 12 botanicals, bringing a delicate combination of sweetness and earthiness with prevalent citrus notes. This week’s cocktail recipe is simple to make at home, featuring King of Soho gin blended with a sweet, insalubrious concoction of condensed milk, chocolate sauce and sweetcorn, garnished with a pinch of cinnamon and grated dark chocolate. Blitz all ingredients with a scoop of crushed ice in a blender or Nutribullet. Garnish with a sprinkle of cinnamon and a grating of dark chocolate. 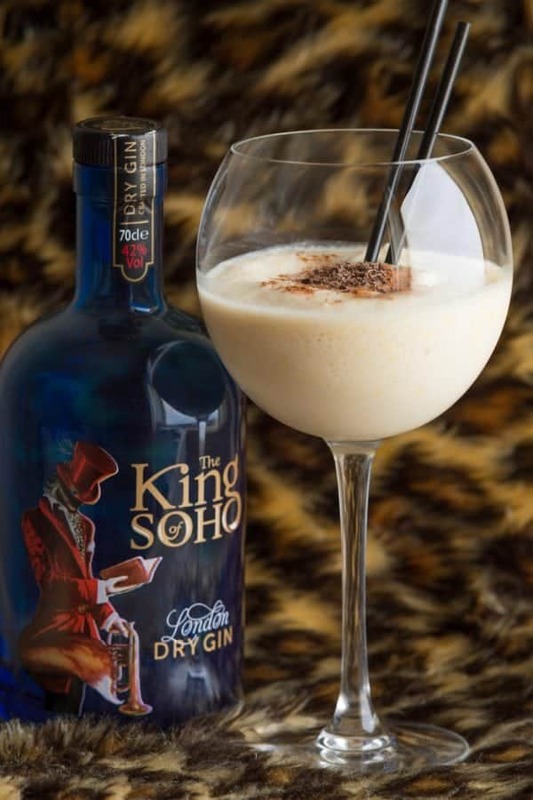 Further information on King of Soho gin can be found at kingofsohodrinks.com. The Weekly Cocktail Recipe: Negroni Inglese from 45 Jermyn St.